This bar was designed and built by Leasure Concepts. 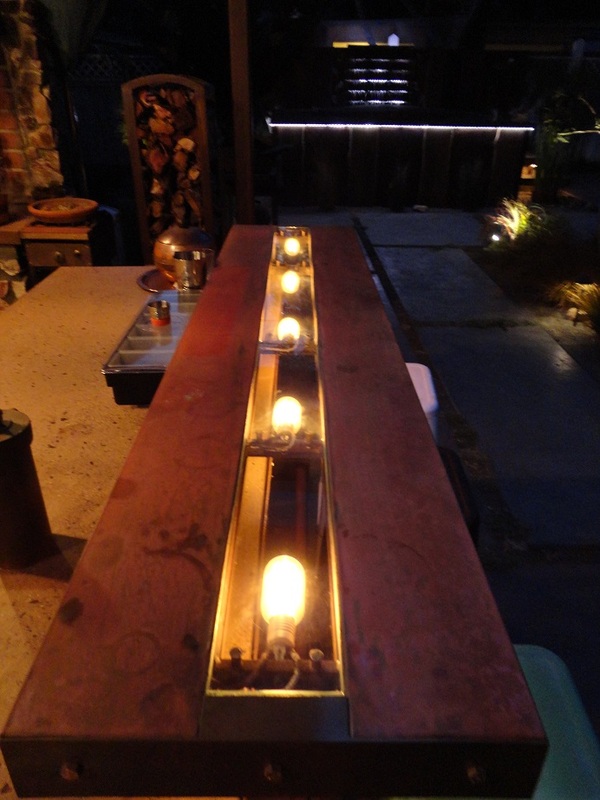 It features copper bar tops with Edison bulbs. A piece of tempered glass between the two copper pieces allows for a continuous top. The lights are wired with 1930’s retro wire. The bar lights also shine down the back side of the island as well. Very Unique! This entry was posted on Saturday, November 2nd, 2013 at 9:07 pm. It is filed under . You can follow any responses to this entry through the RSS 2.0 feed. You can leave a response or trackback from your own site.